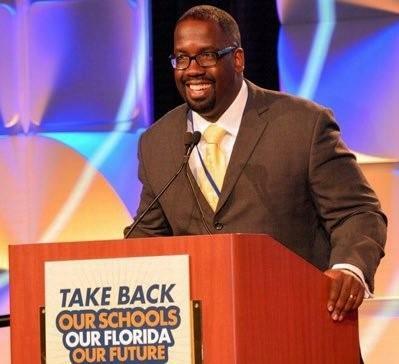 FEA President Fedrick Ingram says "it’s very encouraging to hear that Gov. DeSantis and Commissioner Corcoran plan to bring teachers and parents to the table as they go about reshaping Florida’s standards." At a high school in Cape Coral Thursday, DeSantis gave his newly appointed education commissioner some marching orders. 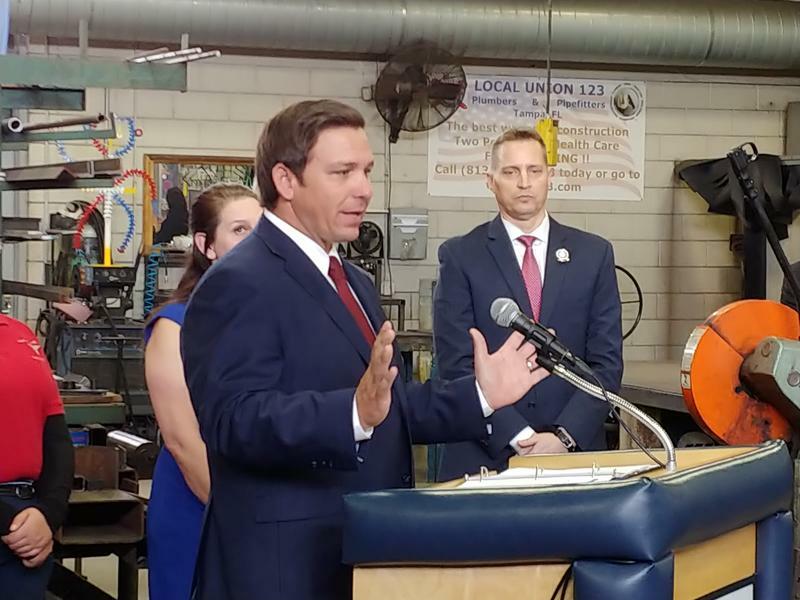 “We are doing an executive order that is going to instruct Commissioner Corcoran to get to work and come up with good standards for the state of Florida which will include eliminating Common Core and the vestiges of Common Core,” DeSantis said. Common Core standards provide benchmarks for what students should learn in math and English by the end of each grade. Five years ago, Republican leaders made some changes to the benchmarks and dumped the name Common Core, opting instead for Florida Standards. Corcoran is the former Florida House Speaker who heavily promoted school choice. Now, he has a year to come up with recommendations. Miami-Dade County Public Schools Superintendent Alberto Carvalho says he likes DeSantis' plan for changes to education policy. But he told the Miami Herald that getting rid of the current standards won’t be easy. "Let's recognize that these shifts are complex, and they usually are very costly,” Carvalho said. “Any changes to the standards results in changes to the tests that students have to take and very costly textbook and curriculum adoptions. So I support the decision to review it, but we ought to do it methodically and carefully." DeSantis’ order is also getting a thumbs up from an unlikely source – the Florida Education Association (FEA). The FEA is the state’s largest teacher’s union. The group has long butted heads with the Republican-controlled legislature’s support of school choice, especially charter schools. He says teachers must also be part of the conversation. Ingram says the governor’s order is recognition that state education policies have overreached and are partly to blame for a teacher shortage. The governor wants recommendations for the new standards to be crafted by next January for presentation to the Florida Legislature. ~WGCU and WLRN contributed to this report. Governor Ron DeSantis has set his sights on eliminating Common Core standards from Florida public education. Discussions concerning hot topics in Florida public education are underway ahead of the coming Legislative Session, from school safety to leadership positions. Florida State University donor Albert Dunlap has died. Al Dunlap was one of Florida State’s most generous donors. He contributed more than 40 million dollars to FSU, mostly to athletics. One of his donations funded the Dunlap Student Success Center. Dunlap discussed the center in a 2010 interview with then-president Eric Barron on WFSU-TV.